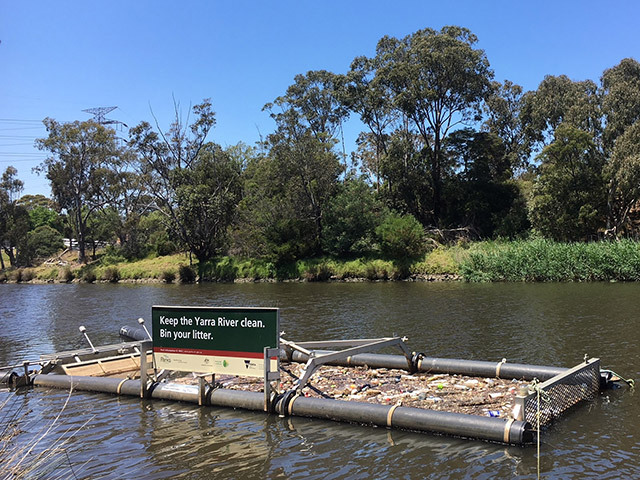 The Bandalong Litter Trap is a floating device installed at strategic locations along waterways to collect and retain floating litter, vegetation and other debris. The system operates silently without any mechanical assistance, capturing and retaining debris ready for removal and disposal. 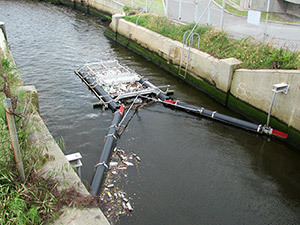 Bandalong Litter Traps are suitable for most waterways wider than 2 metres, including waterways subject to tidal action, rivers, streams, channels and open bodies of water. 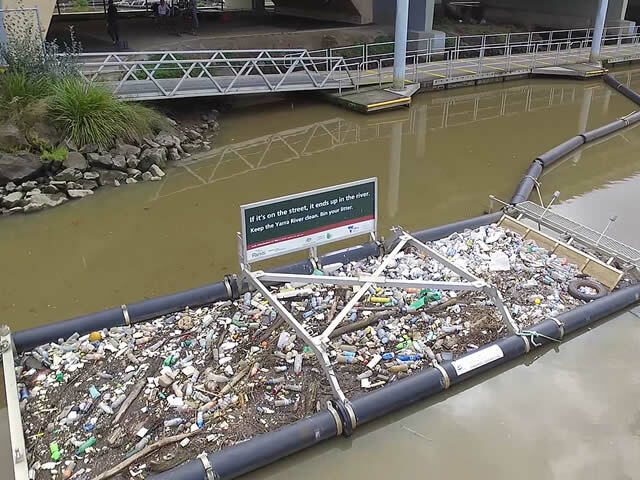 Debris is directed via collection booms through a patented one way flap or gate to capture floating litter and debris. Cost effective and requires little maintenance. Operates silently 24 hours a day without mechanical assistance. Does not impede water flow or cause upstream flooding. Security fittings used to reduce vandalism. Debris cannot be dislodged once trapped. Quality, durable and corrosion resistant materials used. 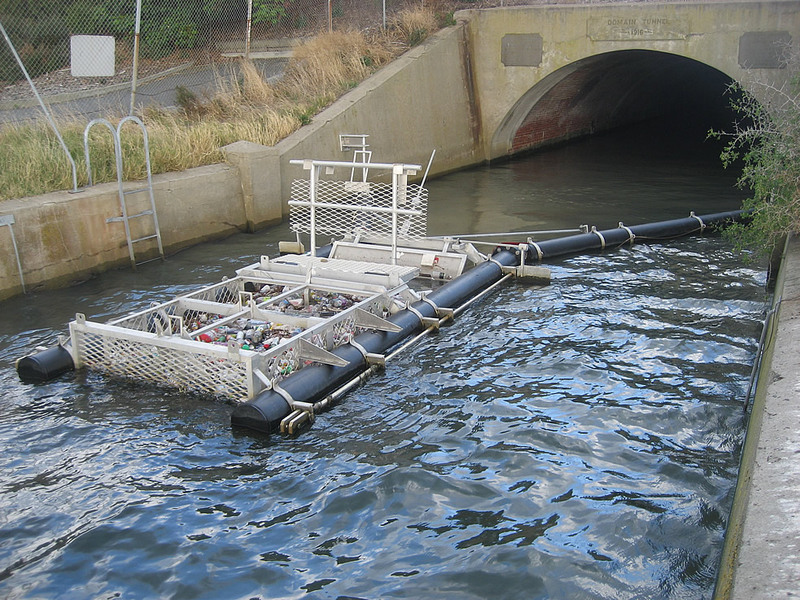 The Bandalong Litter Trap floats on waterways, given buoyancy by exceptionally strong and durable polyethylene pipes. The unit is held in place by chains attached to ground anchors or fitted to rider poles for canal installations. Outspread collection booms direct floating litter through a one-way gate into the trap where it is retained ready for removal. Re-entrainment is prevented by a system of counterweights and paddles that close the entry gate when the water flow ceases or there is a change in flow direction due to tide or wind. 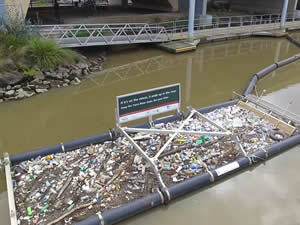 A polyethylene side skirt beneath the waterline prevents debris escaping under the main floats.